Craftsman quality: You can use the backsplash tile to create a stage look that goes with your home’s architecture. This kitchen utilizes arts and crafts-enthuse 3×6 white glass subway tile with 1×1 brown glass mosaic border, simple kitchen cabinetry, and tropic brown granite countertop to give it a welcoming, vintage fascination. The choice of the tile makes for a perfect fit for this cooking zone and you can use a wide range of colors to create both contemporary and traditional cooking spaces. Get product information about white glass backsplash tile. Photo Credit | Case Design Remodeling INC. Dazzling imagination: This pretty simple and unadorned kitchen cabinetry allows the use of this 2×8 white glass subway tile while at the same time allowing for the use of different patterns and colors. The subway tile creates an impressive backdrop for the kitchen’s veneer-brown and white glass cabinet dorr panel. The use of artistic designs and stain-less steel appliances leaves exotic appeal in the kitchen making it a darling of the owner. Refined focal point: To keep your budget leaner, opt for this standard 3×6 white glass subway tile backsplash to cover the most central part of your cooking space. Coupling it with white quartz countertop and low white cabinetry creates rustic, textural scenery for the cottage-style cooking area. Add different decorative accents for a dream focal point that enhances visual interest without overwhelming the small large-windowed kitchen. Elegant glass subway tile: The sophisticated glass tiles form a cottage-style and inviting kitchen. Coupled with elegant lighting and exotic white stripped white marble countertop, the white kitchen cabinetry the 3×6 white glass subway backsplash tile complements the walls and breathes a fresh feel into the air of this cooking space making it look lovely and special. The stainless stain appliances complete the wow magic. 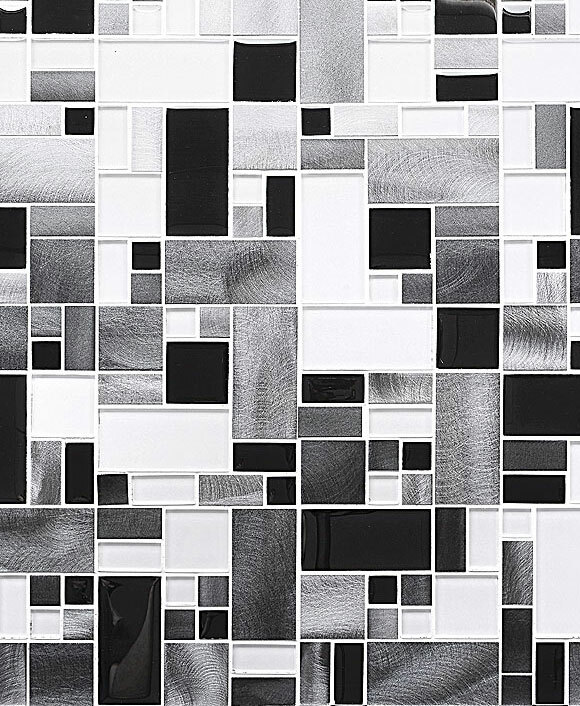 Modern simplicity: This classic white glass custom cut backsplash tile creates a neutral backdrop for accent pieces. The lovely beige limestone vanity top and the brand white ceramic sink and stainless steel faucets combine harmoniously with this decorative wall to give the bathroom a relaxed look and a heavenly allure. Heavenly allure: Everything about this kitchen is relaxed and bears the marks of lively pattern. The shiny white glass subway backsplash tile goes well with the deep quality of the stainless steel appliances and the white walls balancing the room that has predominantly neutral shades. The white kitchen cabinetry with the stainless steel handles and the white granite countertop complement the set up for a homey kitchen. Get more ideas about white backsplash tile photos. Harmonious hues balance: Purr white 4×12 glass backsplash tile add rustic charm to this cooking space making it warm and interesting. The lovely dark brown tones of the kitchen cabinetry warm up the rooms white quartz countertop to complement it with the stainless steel appliances. The artistic placement of the white backsplash brings balance as it cuts through the top and bottom cabinetry for a sleek edge. This entry was posted in BRICK, GLASS, GLOSSY, GRAY, SUBWAY, WHITE. Bookmark the permalink.